A tiny, perfect, dazzling ring of coral surrounded by thousands of miles of open ocean, it’s hard to imagine a more beautiful place on Earth than Enewetak Atoll. For millions of years, waves crashed endlessly over its pristine white sand as winged dinosaurs and then shorebirds alighted on this remote speck of land. Its waters teemed with fish and the island was colonised by drifting seeds, creating a sparkling green gem. Yet over the course of the World War that raged across this part of the planet from 1942 to 1945 and the potentially much more destructive Cold War that followed, Enewetak and other little worlds like it were nearly wiped off the face of the planet. Part of the Marshall Islands, Enewetak is located over 2000 miles from the northernmost tip of Australia, beyond Papua New Guinea and the Solomon Sea. During the Second World War, Japanese and American forces fought their way across the Pacific, devastating many of its smaller islands in an intense battle for survival. 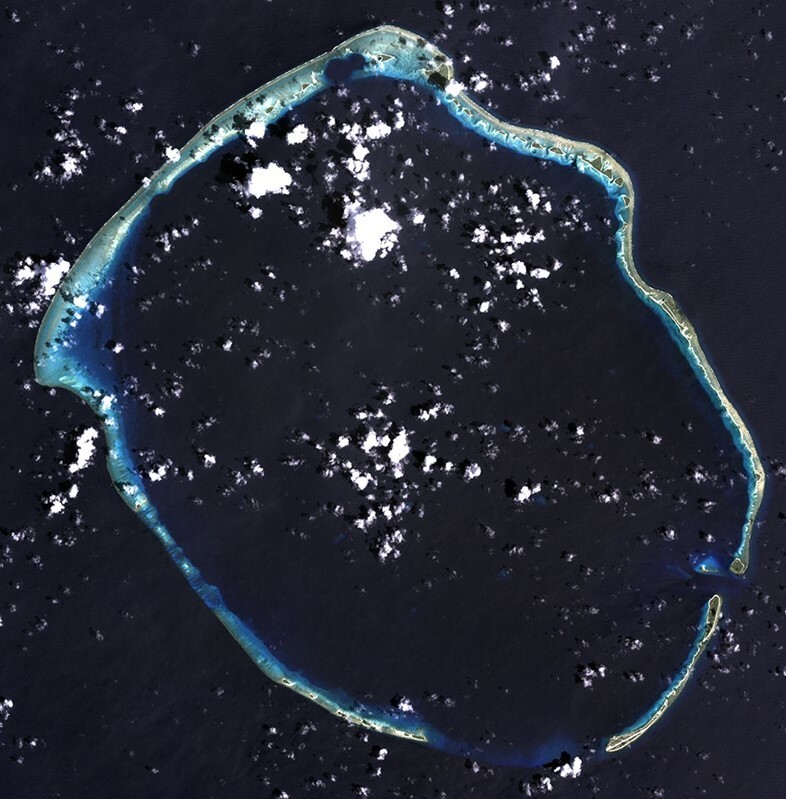 On Enewetak, coral was bulldozed and filled in to create an airstrip, and later fighting saw further devastation on Engebi Islet and Parry Island, two islands that make up the atoll. But worse was yet to come. One of thousands of such South Pacific paradises, Enewetak and the other atolls that dot this otherwise empty part of the planet are similar in geological make up and biodiversity. The region is home to over 1,000 species of fish and more than 250 species of soft and hard corals. Enewetak itself formed atop a seamount in the late Cretaceous. Seamounts are underwater mountains which rise almost to the surface, providing an ideal base for coral. Over eons, the reefs rose up above the waves and were colonised by life, even as the mountain sunk deeper into ocean. Delicate, pristine and perfect, such atolls unfortunately made ideal, very remote testing grounds for the devastating nuclear weapons that emerged as the Cold War dawned. 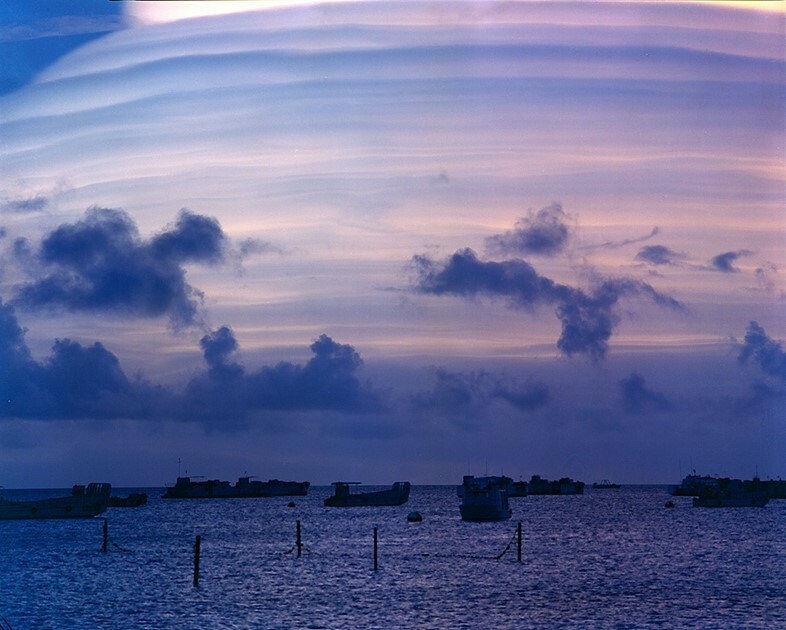 At 7:15am local time on November 1st 1952, the calm of yet another peaceful tropical morning on Enewetak was shattered when the United States detonated the world’s first hydrogen bomb. Codenamed ‘Ivy Mike’, the device was actually a massive 82-ton experiment housed in a purpose-built shed on the tiny islet of Elugelab. The resulting explosion vaporised the islet’s landmass completely, leaving a crater nearly 2km wide and 15 stories deep. Blast waves and surging water stripped the islands clean of vegetation and radioactive coral rained down on ships nearly 50km away. Within minutes, a 30km high mushroom towered over Enewetak. 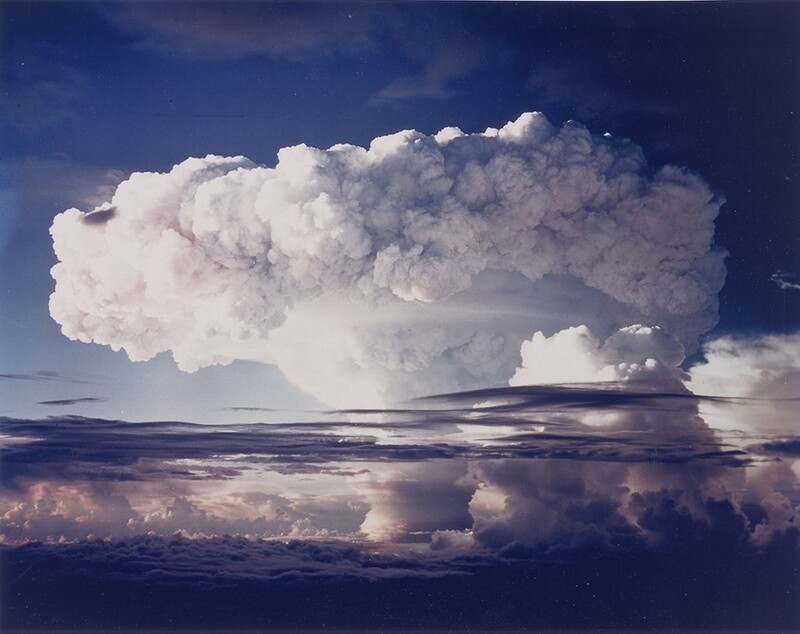 The 'Mike' test was the fourth largest nuclear test ever conducted by the US and left the area heavily contaminated, but 42 others detonations followed on Enewatak alone. In the late 1970s, the US began a long, expensive and messy clean-up of this contaminated former paradise. Radioactive soil was treated with potassium or mixed with cement and buried a giant crater created by one of the tests, then covered with a massive concrete dome. Today, the southern and western parts of Enewatak Atoll have been declared safe and some of its exiled residents have returned – but much remains off-limits. As at sites within the Chernobyl exclusion zone, Enewetak’s isolation and reputation may in the end prove a plus for nature. Without human interference, wildlife may once again thrive undisturbed, as it did for millions of years before we arrived. A very good question. 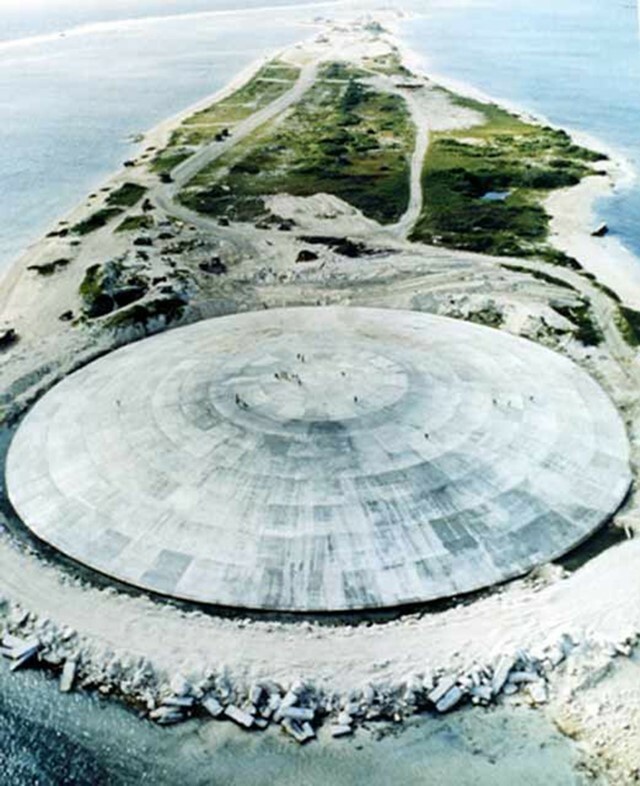 Enewetak appears to be currently closed to non-official visitors like members of the military, Department of Energy personnel, media and researchers, but it may be possible to charter a yacht and sail close enough to see the dome. Alternately, small plane flights may be available to see the reefs and craters from above. Up to date information from the Marshall Islands is hard to come by, so it’s best to consider a potential visit to Enewetak as part of a wider trip there. United Airlines flies to Majuro (MAJ) via Guam or Hawaii while Nauru offers flights from Brisbane, Australia. Air Marshall Islands may be able to fly you between the various islands, but service is reportedly very patchy and their website is current offline.